Child custody lawsuits can be contentious and emotionally charged. Before filing for child custody or visitation in Georgia, it's important to think about your child's needs. Except in extreme cases of neglect or abuse, children typically thrive under a joint custody arrangement. In Georgia, the Uniform Child Custody Act of 1978 established statewide standards for child custody proceedings. Each county can institute slightly different procedures, but the goal of protecting children's best interests, and the emphasis on mediation and negotiation rather than contentious litigation, is the same throughout the state. You can file for custody without an attorney, and many Georgia courts provide forms for parents to file themselves. An online document service can also provide you state and county-specific forms. If you plan on taking your custody fight to court, it is wise to hire an attorney who can advocate for you. Determine the proper venue. Georgia law requires that a child must have lived in Georgia for the past six months for Georgia to be the proper venue for a custody proceeding. File in the family division of the superior court in which the child currently resides. Typically this will be the same county where you or the current custodial parent live. If you are filing for divorce at the same time, fill out the petition for divorce with minor children. Parents can file for custody at any time, including if they were never married to the child's other parent, so if you are not getting divorced you need to file a separate custody petition. If you and your ex already have a custody order from a judge, you will need to file for a modification. While you can do this yourself, custody modifications are notoriously complex in Georgia, so consider having the lawyer who handled your original custody proceedings file your modification petition. Fill out a petition for custody or petition for temporary custody. In most cases, you should complete the custody petition, which you can obtain from the family division of the superior court. If you are requesting temporary custody due to the other parent's illness, deployment or other extenuating circumstances, you must file a petition for temporary custody. Both forms require information about your child's current living arrangement and basic information about both parents. Ensure that you provide all requested information. In most counties in Georgia, you will also be required to file a child support worksheet along with the forms but some counties allow you delay filing this document until your case is before a judge. 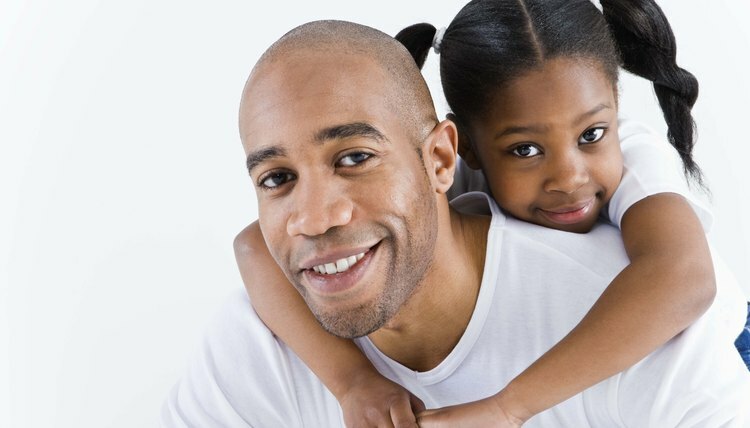 If you have a specific custody arrangement in mind, attach a parenting plan to the filing. Many Georgia counties offer blank parenting plans along with custody petitions. Return the forms to the clerk and pay the filing fee. If the child's other parent contests your custody petition, he will file an answer and parenting plan of his own. In Georgia custody cases, parents are required to attend a parenting seminar before a judge will hear their case. Sign up to attend this parenting seminar as soon as you file your custody petition. If your children reside in a different state and you want to initiate or enforce your visitation rights, the first thing you need to know is where to file your case. For initial petitions, this will typically depend on where the parents and children reside as well as how long the children have lived in or out of a particular state. For enforcement petitions, this typically depends on what state court issued the initial order. Once you know what court is handling your case, you must then file a petition requesting visitation or enforcement of an already existing visitation order. You also have the option of reaching an agreement with your ex so that court intervention is unnecessary.